On March 1st, 2013, the Centre for Internet and Society organized a workshop which analysed the April 2012 draft Human DNA Profiling Bill and its potential implications on human rights in India. This research was undertaken as part of the 'SAFEGUARDS' project that CIS is undertaking with Privacy International and IDRC. Think you control who has access to your DNA data? That might just be a myth of the past. Today, clearly things have changed, as draft Bills with the objective of creating state, regional, and national DNA databases in India have been leaked over the last years. Plans of profiling certain residents in India are being unravelled as, apparently, the new policy when collecting, handling, analysing, sharing and storing DNA data is that all personal information is welcome; the more, the merrier! Who is behind all of this? The Centre for DNA Fingerprinting and Diagnostics in India created the 2007 draft DNA Profiling Bill, with the aim of regulating the use of DNA for forensic and other purposes. In February 2012 another draft of the Bill was leaked which was created by the Department of Biotechnology. The most recent version of the Bill was drafted in April 2012 and seeks to create DNA databases at the state, regional and national level in India. According to the latest 2012 draft Human DNA Profiling Bill, each DNA database will contain profiles of victims, offenders, suspects, missing persons and volunteers for the purpose of identification in criminal and civil proceedings. The Bill also establishes a process for certifying DNA laboratories, and a DNA Profiling Board for overseeing the carrying out of the Act. DNA databases...and Justice for All? Should DNA databases be created at all? 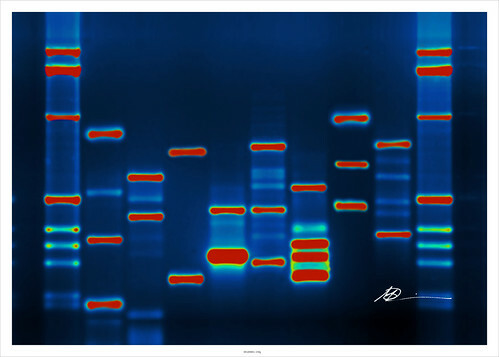 The Innocence Project, which was presented at the workshop, appears to provide an appeal towards the storage of DNA samples and profiles, as it represents clients seeking post-conviction DNA testing to prove their innocence. According to statistics presented at the workshop, there have been 303 post-conviction exonerations in the United States, as a result of individuals proving their innocence through DNA testing. Though post-conviction exonerations can be useful, they cannot be the basis and main justification for creating DNA databases. Although DNA testing could enable post-conviction exonerations, errors in matching data remain a high probability and could result in innocent people being accused, arrested and prosecuted for crimes they did not commit. Thus, arguments towards the necessity and utility of the creation of DNA databases in India appear to be weak, especially since DNA evidence is not infallible. False matches can occur based on the type of profiling system used, and errors can take place in the chain of custody of the DNA sample, all of which indicate the weakness of DNA evidence being used. DNA data only provides probabilities of potential matches between DNA profiles and the larger the amount of DNA data collected, the larger the probability of an error in matching profiles. 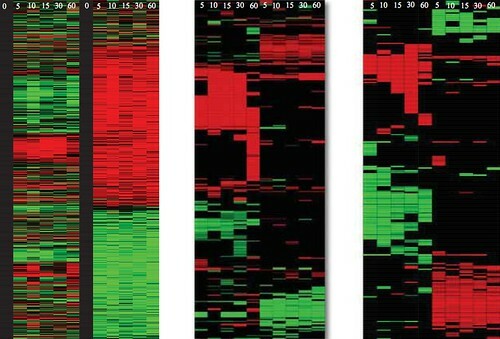 How and when can DNA data be collected? The amended draft 2012 Bill remains extremely vague and broad. In particular, the Bill states that all offences under the Indian Penal Code and other laws, such as the Immoral Traffic (Prevention) Act, 1956, are applicable instances of human DNA profiling. Section B(viii) of the Schedule states that human DNA profiling will be applicable for offences under ´any other law as may be specified by the regulations made by the Board´. This incredibly vague section empowers the DNA Profiling Board with the ultimate power to decide upon the offences under which DNA data will be collected. The issue is this: most laws have loopholes. A Bill which lists applicable instances of human DNA profiling, under the umbrella of a potentially indefinite number of laws, exposes individuals to the collection of their DNA data, which could lead to potential abuse. The DNA Profiling Board has ´absolute´ power, especially according to the 2012 draft Human DNA Profiling Bill. Some of the Board´s functions include providing recommendations for provision of privacy protection laws, regulations and practices relating to access to, or use of, stored DNA samples or DNA analyses. The Board is also required to advise on all ethical and human rights issues, as well as to take ´necessary steps´ to protect privacy. However, it remains unclear how a Board which lacks human rights expertise will carry out such tasks. Despite the various amendments to the section on the composition of the Board, no privacy or human rights experts have been included. According to the Bill, the Board will be comprised of many molecular biologists and other scientists, while human rights experts have not been included to the list. This can potentially be problematic as a lack of expertise on privacy and human rights laws can lead to the regulation of DNA databases without taking civil liberties into consideration. The Bill also empowers the Board to ´authorise procedures for communication of DNA profiles for civil proceedings and for crime investigation by law enforcement and other agencies´. Although the 2007 Bill restricted the Boards´ authorisation to crime investigation by law enforcement agencies, its 2012 amendment extends such authorisation to ´civil proceedings´ which can also be carried out by so-called ´other agencies´. This amendment raises concerns, as the ´other agencies´ and the term ´civil proceedings´ remain vague. The Board is also authorised to ´assist law enforcement agencies in using DNA techniques to protect the public´. Over the last years, laws are being enacted that enable law enforcement agencies to use technologies for surveillance purposes in the name of ´public security´, and the 2012 draft Bill is no exception. Many security measures have been applied to ´protect the public´, such as CCTV cameras and other technologies, but their actual contribution to public safety still remains a controversial debate. DNA techniques which would effectively protect the public have not been adequately proven, thus it remains unclear how the Board would assist law enforcement agencies. In addition to the above, the Board would also encourage cooperation between Indian investigation agencies and international agencies. This would potentially enable the sharing of DNA data between third parties and would enhance the probability of data being leaked to unauthorised third parties. The Board would also be authorised to regulate the standards, quality control and quality assurance obligations of the DNA laboratories. The draft 2012 Bill ultimately gives monopolistic control to the DNA Profiling Board over all the procedures related to the handling of DNA data! According to the 2012 draft Human DNA Profiling Bill, it is the DNA Data Bank Manager who would carry out ´all operations of and concerning the National DNA Data Bank´. All such operations are not clearly specified. The powers and duties that the DNA Data Bank Manager would be expected to have are not specified in the Bill, which merely states that they would be specified by regulations made by the DNA Profiling Board. The Bill also empowers the Manager to determine appropriate instances for the communication of information. In other words, law enforcement agencies and DNA laboratories can request the disclosure of information from the DNA Data Bank Manager, without prior authorisation. The DNA Data Bank Manager is empowered to decide the requested data. Are you a victim or a cleared suspect? You better be, if you want access to your data to be restricted! The 2012 draft Human DNA Profiling Bill states that access to information will be restricted in cases when a DNA profile derives from a victim or a person who has been excluded as a suspect. The Bill is unclear as to how access to the data of non-victims or suspects is regulated. According to the amended draft 2012 Bill, DNA profiles and samples can be made available in criminal cases, judicial proceedings and for defence purposes among others. However, ´criminal cases´ are loosely defined and could enable the availability of DNA data in low profile cases. Furthermore, the availability of DNA data is also enabled for the ´creation and maintenance of a population statistics database´. This is controversial because it remains unclear how such a database would be used. According to an amendment to section 37, DNA data will be kept on a ´permanent basis´ and the DNA Data Bank Manager will expunge a DNA profile only once the court has certified that an individual is no longer a suspect. This raises major concerns, as it does not clarify under what conditions individuals can have access to their data during its retention, nor does it give volunteers and missing persons the opportunity to have their data deleted from the data bank. The various loopholes in the Bill which can create a potential for abuse were discussed throughout the workshop, as well as various issues revolving around DNA data retention, as previously mentioned. During the workshop, some participants questioned the creation of DNA databases to begin with, while others argued that they are inevitable and that it is not a question of whether they should exist, but rather a question of how they should be regulated. All participants agreed upon the need for further safeguards to protect individuals´ right to privacy and other human rights. Further research on the necessity and utility of the creation of DNA databases in regards to human rights was recommended. In addition to all the above, the Ministry of Law and Justice was recommended to pilot the draft DNA Profiling Bill to ensure better provisions in regards to privacy and data protection. A debate on the use of DNA data in civil cases versus criminal cases was largely discussed in the workshop, with concerns raised in regards to DNA sampling being enabled in civil cases. The fact that the terms ´civil cases´ and ´criminal cases´ remain broad, vague and not legally-specified, raised huge concerns in the workshop as this could enable the misuse of DNA data by authorities. Thus, the members attending the workshop recommended the creation of two separate Bills regulating the use of DNA data: a DNA Profiling Bill for Criminal Investigation and a DNA Profiling Bill for Research. The creation of such Bills would restrict the access to, collection, analysis, sharing of and retention of DNA data to strictly criminal investigation and research purposes. Maria is a Policy Associate on the Privacy Project at the CIS. She has previously interned with Privacy International and with the Parliament of Greece. Maria holds a Master of Science in Security Studies from the University College London (UCL).